The Web SDK allows third parties to embed SamKnows measurements into their web applications. This is commonly used to deliver a web speed test, branded according to the third party's liking. There are two ways that the Web SDK can be used. 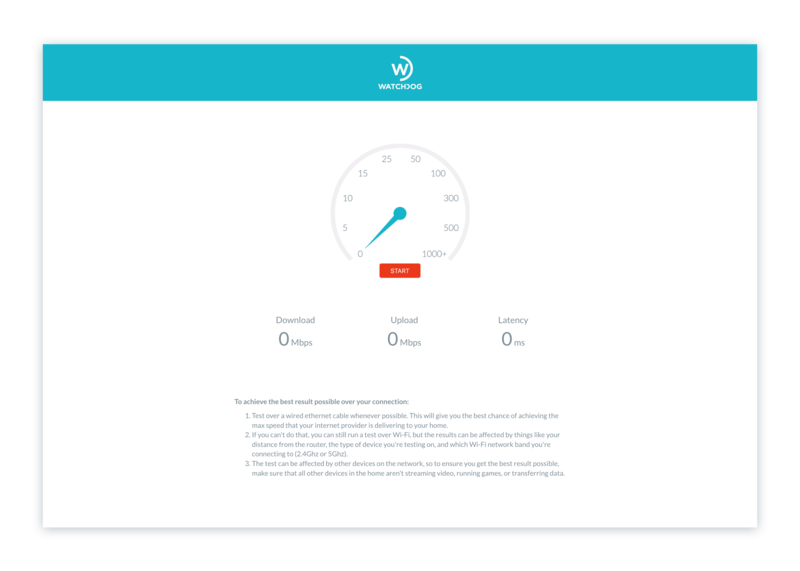 Firstly, the developers can use a library directly which allows you to completely configure the appearance and behaviour of the speed test. Alternatively, developers can use an embeddable iframe API which is far simpler to set up and still allows basic appearance customisation. The latency and upload tests both use WebSockets in all browsers, and the download test uses the fetch streaming API in Chrome, Firefox, and Safari, and WebSockets in Internet Explorer and Edge—basically, it uses the fetch streaming API in all browsers that support it except for Edge, where it was unreliable. SamKnows provides an embeddable version of the speed test which is already set up to work with the library, available with a couple configurable styles. The responsive design allows for usage at a number of different sizes. primary: Set the colour of the needle. secondary: Set the colour of the button and gauge. lang: Hardcode a different language. Defaults to browser language. show-results: Whether to show the results. Defaults to true.